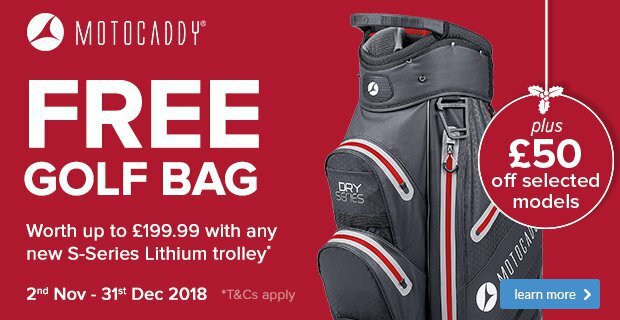 Right now, if you buy any Motocaddy S-Series Lithium trolley in the run-up to Christmas, you will be able to claim a FREE Motocaddy cart bag worth up to £199.99 on Motocaddy's website. 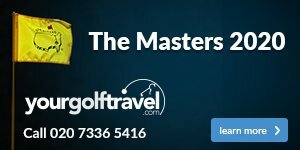 To entice you even further, we will give you an additional £50 OFF S3 PRO and S5 CONNECT trolleys purchased during the promotional period. 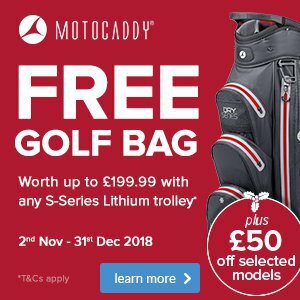 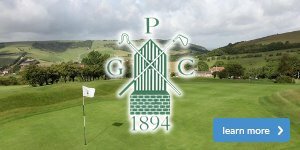 Have a browse through the Motocaddy range on our website - click here - choose your favourite S-Series Lithium trolley before popping into the shop to make your purchase.